Bill Pugliano / GettyGetting ahead of himself. 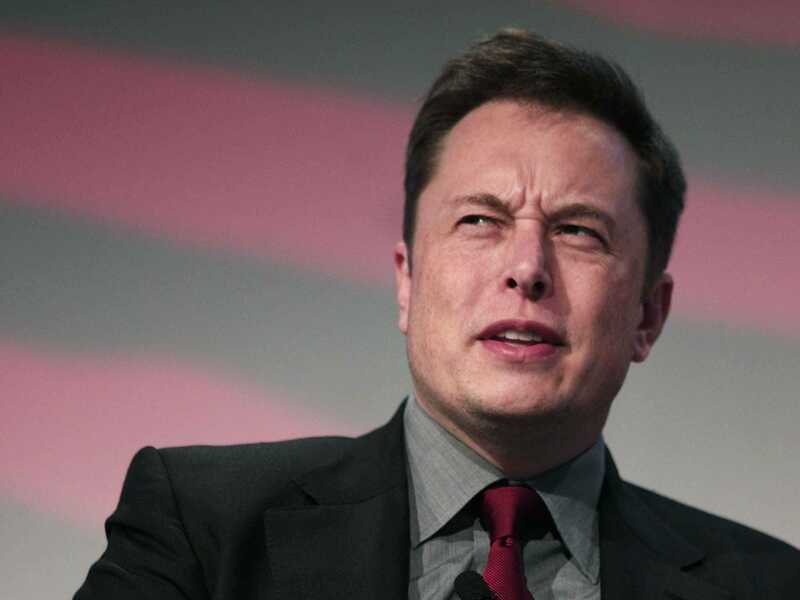 When it comes to understanding Tesla and its future, no one is better than CEO Elon Musk. But when it comes to assessing other automakers, and potential competitive threats to Tesla, he isn’t as good. Case in point: last week, Musk said that although Apple got a late start on its secretive car project, the Cupertino colossus will catch up and have volume production by 2020. As an aside, or perhaps a gentle taunt, Musk claimed that Tesla will be delivering a million vehicles a year by then (the company is already shooting for 500,000 annually by 2018). There’s an outside chance that Apple could actually be selling a car by 2020, but not much more than that. In fact, Musk’s comments suggest that he wants to keep Tesla in a Silicon-Valley-oriented discussion about the future of transportation, with tech companies such as Apple and Google serving as Tesla’s competition, not, you know, the automakers that are currently building and selling electric cars. Apple hasn’t stopped specializing in the Steve Jobsian “reality distortion field,” and the Apple Car, code-named “Titan,” is 2016’s exhibit A. Thus far, we’ve seen used minivans driving around the Bay Area with what appear to be sensor rigs strapped to their roofs. Apple has bought up real estate and made some fairly odd hires. And that’s it. Otherwise, it’s all free-form speculation and the odd design study. So if Apple manages to get a car to market by 2020, it will be a frankly astonishing achievement. Which is what Apple obsessives expect — that the company will unleash a (probably) electric and (probably) self-driving vehicle with dramatic fanfare, fully formed and ready to rock. That’s going to be impossible. Cars aren’t smartphones. They’re big and, in a world jammed with iPhones, impossible to hide. Apple would have to test its car on public roads — in fact, it would have to let various governments know that it was doing so, and if it wants to shoot for self-driving features, it will be required to apply for permits in California. Old-school cars tended to be driven by humans typically take about four years to develop from “clean sheet” designs, so if Musk is right and Apple got a late start, then it’s unlikely that a game-changer from Project Titan will hit the road by 2020; I’d say 2025 is optimistic. 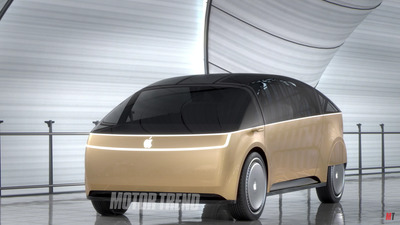 BI Screenshot/Motor Trend ChannelMotor Trend asked designers to envision the Apple Car. What Musk’s comments really boil down to are studied efforts to deflect the true competitive threats that are about to begin arriving — and an opportunity to distinguish Tesla’s vehicles from some of the new, longer-range EVs that are soon to hit the market. Tesla is on the verge of transforming itself from a low-volume, high-profit-margin manufacturer of luxury electric cars to a relative high-volume, low-margin manufacturer of mass-market EVs, with the forthcoming Model 3 to be the first example. General Motors is already going to beat Tesla to market with the 200-mile Bolt, due to arrive later this year. And GM, Ford, and Volkswagen are moving rapidly to develop futuristic new-mobility businesses. Detroit is happy to point out that its traditional car companies have be raking in cash for the past two years and might be interested in acquiring or investing in high-tech startups based in Northern California. And that’s just in the US. The German and Japanese automakers are also ramping up their own electric-car and autonomous-driving initiatives. On one hand, this is all good for Tesla. It’s not going to be the only meaningful electric-car company for that much longer, and that should make Musk and his team happy. Tesla can’t achieve his grand vision alone, not on a planet that has over a billion vehicles on the road. On the other hand, Tesla is at the moment not very good at its core business, which is building cars. The cars it has built have been impressive, if a bit buggy (the entire Model S sedan fleet was recalled last year, and the early production run of the Model X SUV was recalled earlier this year). But yearly deliveries have never met expectations: 50,000 in 2015, down from a promised 55,000; and guidance for 80-90,000 in 2016, with far less than half that total delivered so far. Tesla MotorsThe Tesla Model 3. 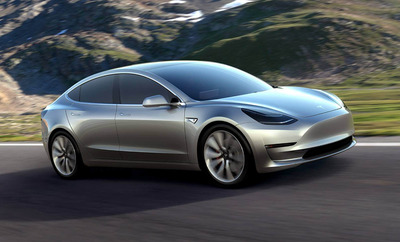 It isn’t that Tesla can’t make an awesome car. It’s that Tesla can’t match the routine production of an established automaker. So of course Tesla would like to see itself competing against Apple, another new entrant that has no competency whatsoever when it comes to car making. There are effectively two views on what Apple is really up to with Titan. One is that it’s definitely a car. The other is that it definitely isn’t. On the “isn’t” side, Apple is probably working on a comprehensive interface that will remake the experience of being in a vehicle — think a vastly more advanced Apple CarPlay. But Musk sounds as if he’s on the “is” side, expecting to see something with four wheels and an Apple logo tooling up alongside the Model 3 on the streets of Palo Alto. And if he’s serious about that, then he’s making a big mistake. It’s certainly cool to see Apple as Tesla’s biggest rival. But the companies that are good at building and selling cars will have to be dealt with first.